The Manitoba Club is one step away from gaining historical status, 15 months after city hall first contemplated the move. 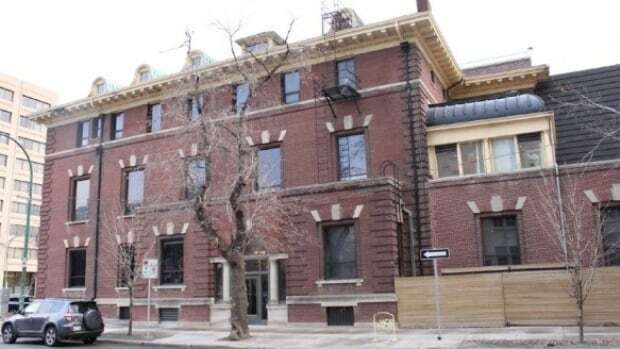 City council’s executive policy committee voted Tuesday to add the oldest private club in Western Canada to the city’s list of historical resources. The 3½-storey Broadway building, completed in 1905, is considered by heritage planners “an excellent example of the neo-classical and classical revival” architectural style in Winnipeg because its brick-and-stone facades have barely been altered in more than a century. The club, however, has opposed a historical designation since October 2017, when general manager Graham Davis wrote the city requesting the building not be added to the historical resources list. Today, Davis appeared before EPC and requested clarity about which interior elements of the building would be protected if the city follows through with the move. EPC wound up voting unanimously for the designation. Davis declined comment following the meeting. A final vote on the designation is slated for city council on Feb. 28.